Tuscany Untold | MOUSE MARKETING INC.
TUSCANY UNTOLD – Thousands of Canadians had a chance to taste one of the oldest Chianti Classico producers who has been growing grapes since the 12th century. The Tuscany Untold side-by-side taste challenge went across Canada to deliver 96% intent to purchase and a total of 3,024,928 brand impressions. 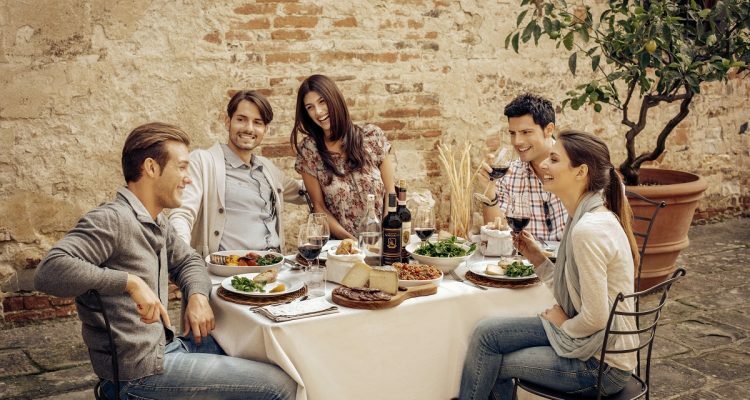 Consumers had a chance to taste the Best of Tuscany side-by-side. The new world Gabbiano Chianti Classico led with loads of fresh cherry, and a touch of spice. Gabbiano’s perfect balance of acidity and complexity makes its a solid match for pairing with food. 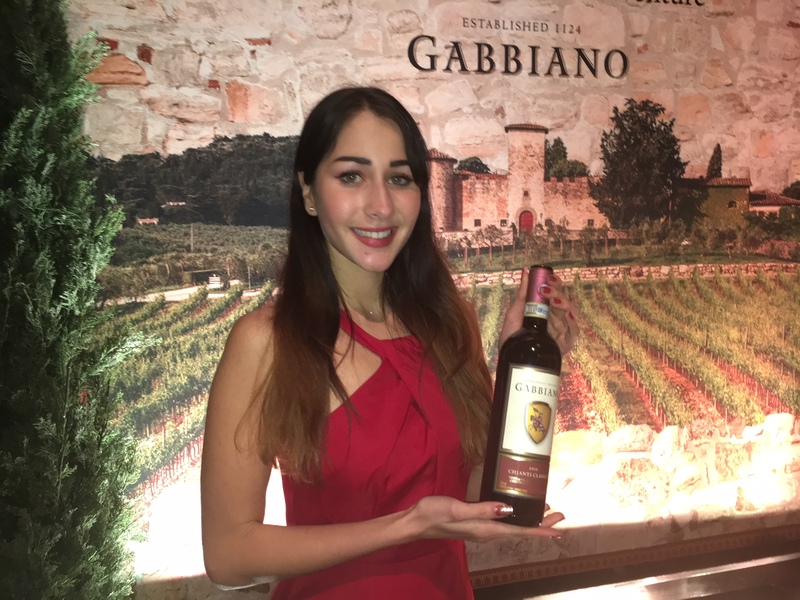 Over 79% of consumers choose Gabbiano over Ruffino Chianti Classico, which is a old world rustic style wine with notes of leather. Would you like to stay in a castle, drink incredible Italian wine, and receive a behind the scenes tour of the winery? Almost 10,000 people have entered the Ultimate Tuscany Adventure Contest with 18,100 website visits and 1,000 people shared their contest experience with friends and family online via social media. People remembered Gabbiano by the unforgettable Cavaliere Knight on the label that has been protected the castle since 1124. Fashion and travel influencer Mr. Calvaliere (Whos name is no coincidence), went for a gentlemen’s night out with his friends and took part in the side by side taste challenge. We amplified the campaign contest and tastings through social media and online organic content. Gabbiano was featured through several online channels including; Daily Hive, Swagger, Sylvanus Urban, The Scene in TO, and many more. Level III (AIS) Sommelier @ChefToniaWilson became an irreplaceable asset, providing her wine knowledge to develop content pieces and partake in media interviews. 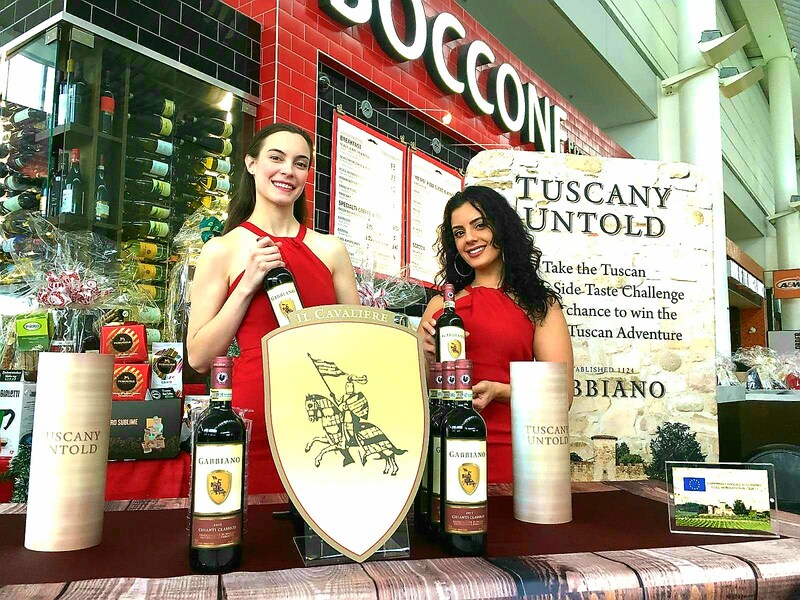 The Tuscany Untold side by side tasting traveled to upscale events including; Toronto Fashion Week, Vancouver Art Gallery, and throughout several restaurants across Canada like Massimo Capra’s Baccone (Seen below) at Toronto’s International Airport.